How to create your online portal? 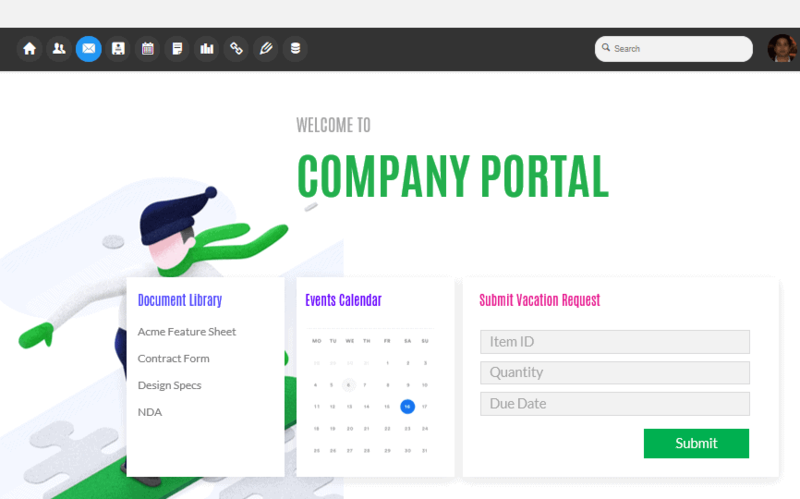 Use HyperOffice’s all-in-one collaborative suite to create and customize your own portal with a ridiculously simple drag and drop interface. 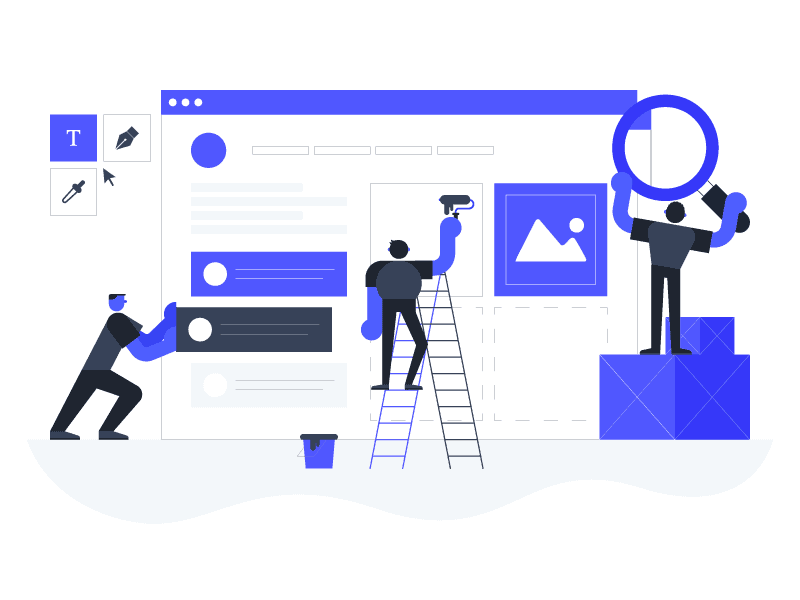 Create all the sites needed for each team, department, and project. 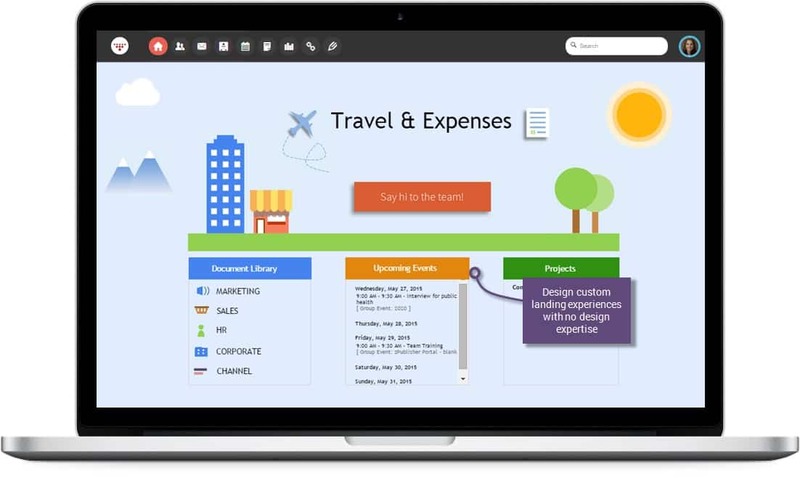 Add elements like documents links, calendars, notes, Gantt charts, images, forms, and other kinds of applications and features to finally solve your collaboration need. You can request a free trial and a lie walkthrough to learn to set up your own portals in minutes. Customize elements such as text, colors, mages, icons, apps, and everything to make your portal actually yours. Make your portal useful by adding document management and sharing functionalities, project management, group calendars, business emails, and notes. 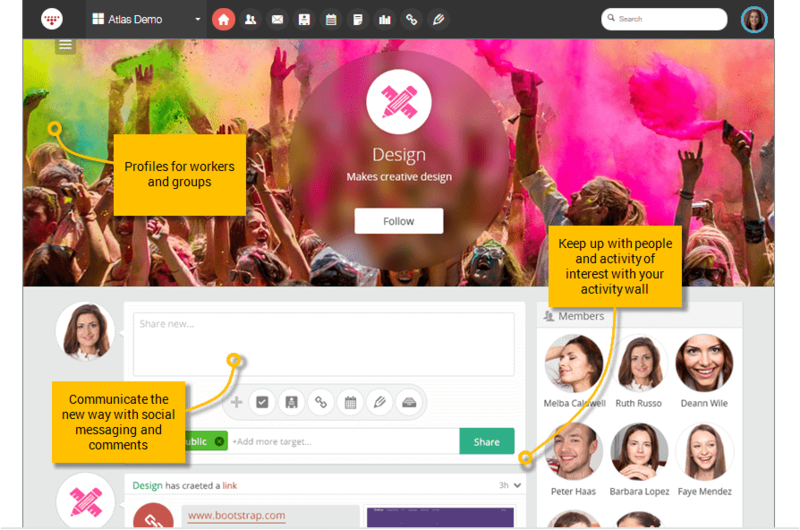 HyperOffice lets you have your own digital workspaces so you can interact in real time with team members. Connect and automate repetitive business processes with do-it-yourself web apps and forms. Craft highly customized portals with a drag and drop interface and a suite of elements to make your digital workplace actually collaborative. A wide selection of collaboration tools that turns your portal works for teams. Enable task, and project assignment, chats, and comments in a single interface. Quickly create web forms for data collection with a no-brain app builder. 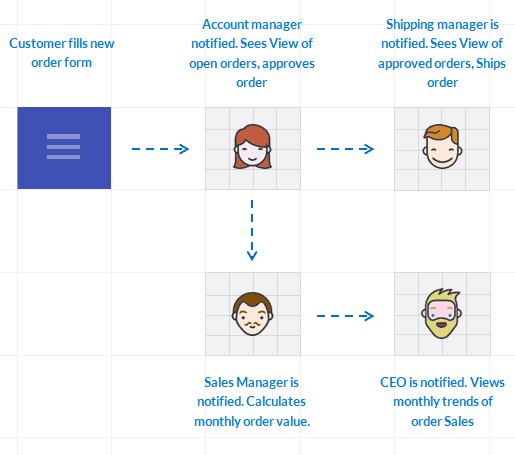 You can create a wide array of business apps to automate simple company processes with workflows, notifications, views etc.—all inside your portal. Aren’t you convinced? We don’t want you to say no. To eliminate your burden, our team will create a portal for you—for free. *Applicable to accounts with more than 20 users.